OX8046 AIRDROP está calificado 4.5 de 5 por 81. La búsqueda de innovaciones de desempeño de Oakley es inigualable. Sus espejuelos van al límite para crear un equipo elegante que funcione para su propósito. Los Airdrop rectangulares en gris oscuro tienen una montura inyectada con un perfil angular bien definido. El logotipo clásico de Oakley está grabado en las varillas ahusadas. Calificado 5 de 5 por B Wise de Super comfortable and stylish Love these glasses. I feel comfortable wearing them at all occasions. Dressed up or dressed down. 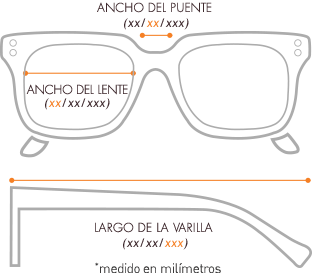 Calificado 5 de 5 por Myga1123 de Perfect rugged pair of glasses Fit extremely well, very rugged. Look great. Many compliments. The rubber on the arms holds them in place despite sweat. I am a first responder and these have held up to the job well. Calificado 5 de 5 por Shinaboo de Great I bought the Oakley Airdrop in the Lenscrafters exclusive colour with progressive lenses about six weeks ago and could not be happier. They are comfortable and snug at home, work and playing sports. Calificado 5 de 5 por Wendy justice de Great glasses I got a pair of Oakley glasses where my son had got a pair and loved them. They are so comfortable and light weight like you are not even wearing glasses. They are not expensive light weight comfortable stylish and easy to keep clean . What else could you ask for. Thank you Lens Crafter for everything you helped us with. Calificado 5 de 5 por Cgar de So comfortable These are the best glasses I have had. Very comfortable, and very rugged. I am tough on my glasses, and these are just amazing. Calificado 4 de 5 por MARGE69 de GOOD ARMS THIS IS THE FIRST PAIR OF GLASSES THAAT DON'T BOTHER ME BEHIND MY EARS AFTER WEAARING THEM FOR MORE THAN FOUR HOURS. THE ARMS ARE FLEXIBLE AND SOFT. THE GLASSES ARE LIGHTWEIGHT AND THE SYLE IS WHAT I WAS LOOKING FOR.